Producers who would like to offer land into General CRP Signup #49 have until last Friday in February to submit an offer. After the February 26th deadline the submitted offers will be ranked by the National Office. The county office will inform producers if their offer was determined acceptable or unacceptable. 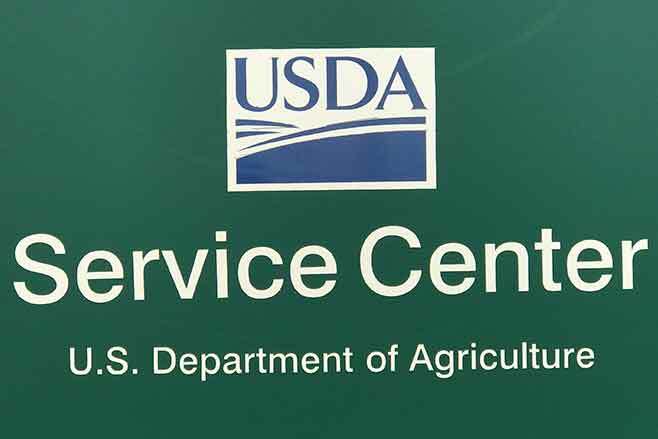 Producers who offer land located in the Lesser Prairie Chicken area and enter into a SAFE (State acres for Wildlife Enhancement) are not subject to the ranking period. SAFE contracts are processed through the continuous signup; which means as long as there are acres available, those are acceptable offers. Producers enrolled in Agriculture Risk Coverage (ARC), Price Loss Coverage (PLC) must protect all cropland and noncropland acres on the farm from wind and water erosion and noxious weeds. Producers who sign ARC county or individual contracts and PLC contracts agree to effectively control noxious weeds on the farm according to sound agricultural practices. If a producer fails to take necessary actions to correct a maintenance problem on a farm that is enrolled in ARC, PLC the County Committee has the option to terminate the contract for the year. Loans are for 9 months; CCC will place a lien on the grain. Producers can request a marketing authorization to move the grain to an elevator. Interest rate is locked in on the rate for the month the loan is disbursed; for January interest rate is 1.625.